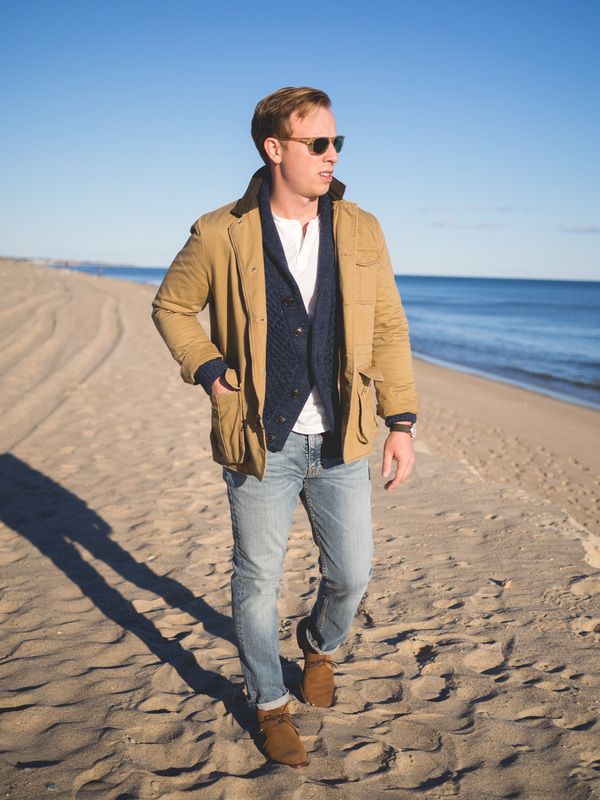 We’ve noticed that most guys have a small repertoire when it comes to outerwear. Their selection usually includes items like light down jackets, leather jackets, wool overcoats, and possibly a jean jacket or heavy parka thrown in at opposite ends of the spectrum. The trusty field coat often gets overlooked, sadly, since it’s easily one of the most versatile and stylish pieces of outerwear a man can have in his collection. 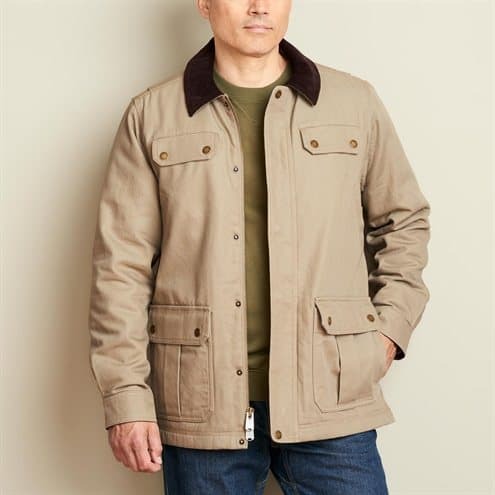 Sometimes field jackets take the form of the traditional military staple, the M-65, a four-pocket cotton jacket issued to soldiers in the Vietnam War. Others are variants of the original, but no less stylish or practical, and the materials can range from ripstop cotton to duck cloth to ultra-rugged firehose material that can stand and deliver time and again. 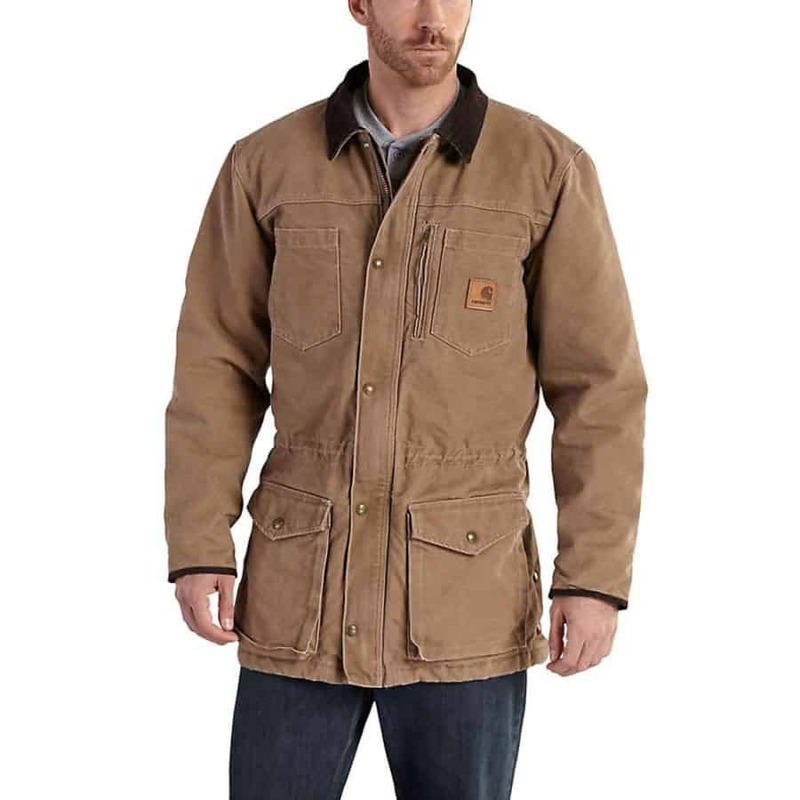 Field coats in the modern age have also come to encompass forms such as the more rural barn jacket and more trucker-style versions. The level of cold-weather protection also varies; some are unlined single layer jackets meant more to shed moisture while others come with full insulation for winter usage. No other outerwear combines a rough aesthetic with unrivaled function like the field jacket, so check out these 10 picks. 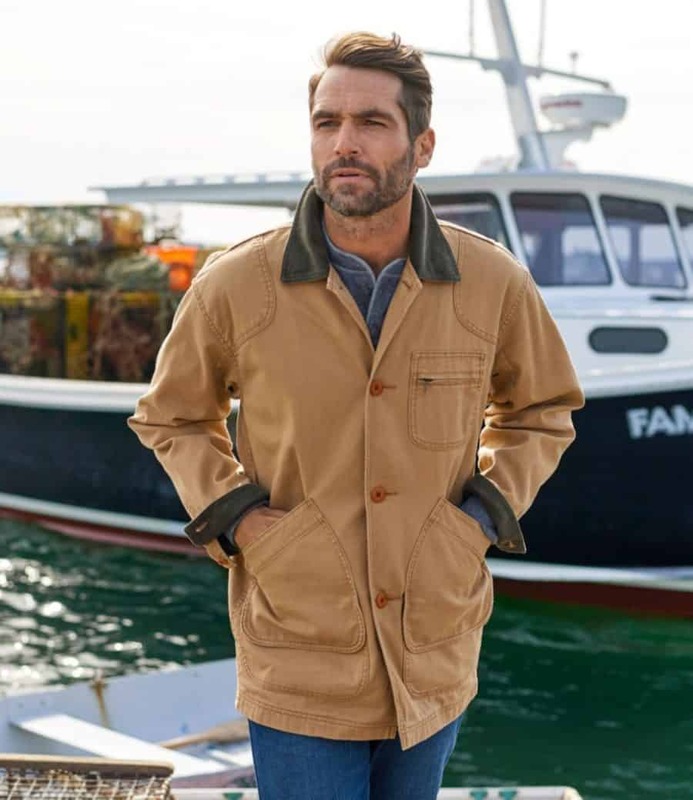 A melding of field length and utility with a trucker-style ethos make for one handsome American-made jacket that will look far better than you will with age. The material is a waxed 7-ounce sailcloth for element resistance and durability that will fade beautifully and uniquely. Three exterior pocket utility juxtaposes nicely with its more trim fit, and the soft plaid herringbone lining gives it subtle sophistication and added warmth when the temps drop. 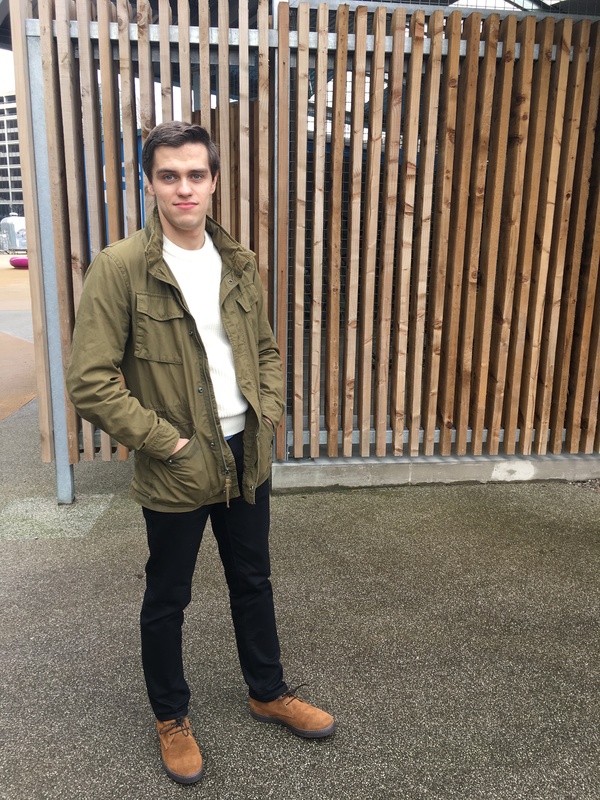 This is a coat that gets better the more it's worn – like a pair of Red Wing boots, the quality of this field jacket is obvious the first time you put it on. The Greenland Jacket is a hybridization of the field coat and the parka, coming together for an eminently practical jacket that’s both inclement weather capable and outdoor sporty stylish. Having originated from the Greenland expedition of 1966, this sucker’s as tough as it is attractive, using G-1000 thick poly-cotton with an extra layer over the yoke and shoulders to haul packs and also ward off the elements. 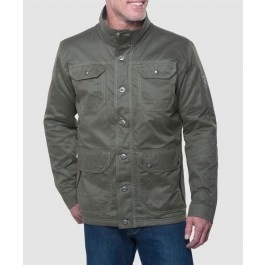 It has the field coat’s utilitarian quad pockets and an incorporated hood to protect your gray matter, too. The material can take on wax to give less favorable conditions the finger. Throw it on while shod with a pair of throwback mountain boots, and you’ll be expedition ready, even if it’s just a country mile for a hot cup of joe. As many men can attest you don’t have to be a construction worker or contractor to wear Carhartt, and it’s a good thing that the American brand has gone mainstream and more stylish for the everyman. The Canyon Coat is longer than their Duck Traditional Jacket and more versatile thanks to its field coat length and capacity. The tough 12-ounce cotton duck cloth will hold up for eons, and the body and sleeve poly lining will keep you toasty without looking like you’re the Michelin Man. 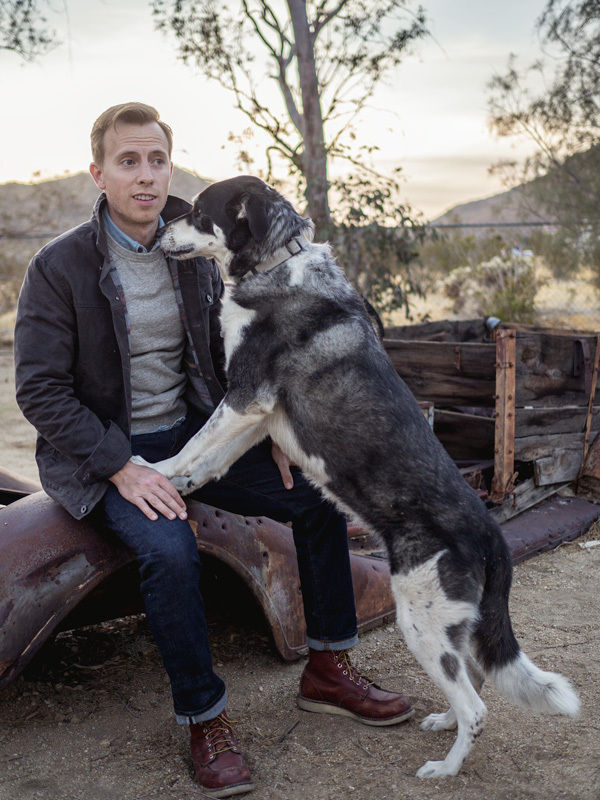 The corduroy collar adds comfort and country panache, while the optional hood notches up the cold-weather capability. Pair with some revived dark jeans and you’re good to go for both field duty and that after-work drink. Taking its cues from the proven barn coat, the Tribeca will make an excellent chilly weather staple in your style repertoire. It brilliantly avoids modern flair with a classic look that will never get outdated, with loads of details like a flannel lining, buttons reinforced with backing-buttons, and an elastic drawstring middle for a perfectly tailored silhouette. The cotton twill comes in three traditional colors: khaki, olive, and navy. 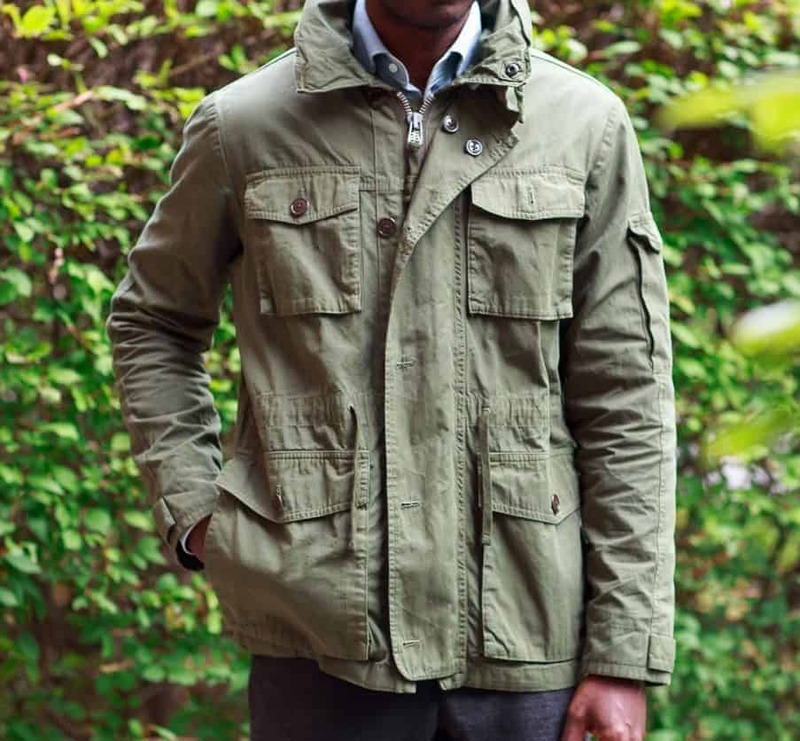 We like Topo’s rendition of the field jacket because it’s just so damned simple. The classic colors, uncomplicated aesthetic, and easy snap front make this a mild weather go-to. The tough ripstop cotton’s grid pattern is about as complex as it gets, and the huge waist pockets in both front and back can hold just about all of your EDC, and the slim cut, unlined construction mean it can head to the office just as easily as it can the shed for some down-and-dirty work. The motto, “If it ain’t broke, don’t fix it” is apropos because the Bean Field Coat hasn’t changed much since 1924 when the term “millennial” applied to a span of time, not an age group. The onetime hunter’s special with reinforced rifle-ready shoulders is made with heavy-duty 10-ounce cotton canvas that’s been treated for durability and weather-resistance. Add corduroy to the collar and cuffs for softness, a fully-lined body and sleeves, and five capacious pockets, and you’re set for a day out without stopping. Another classic from Red Wing will round things out nicely. Though you may not own a motorcycle, this mechanic’s jacket may make you want to tinker with one. 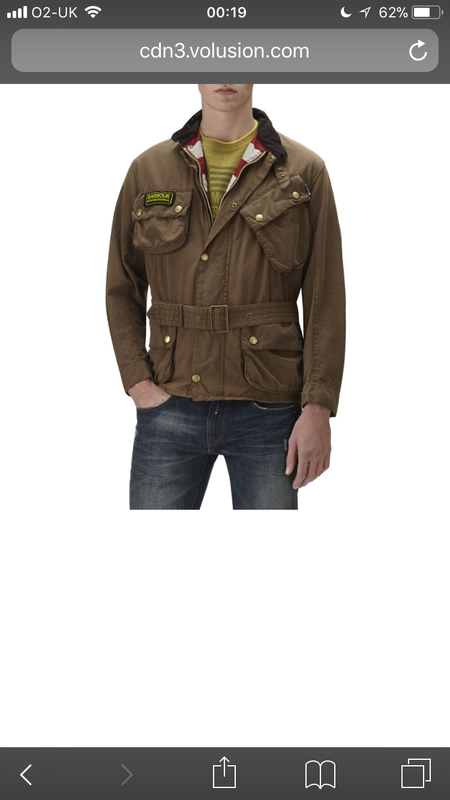 The military styling looks both rugged and chic with its tall collar and huge flap patch pockets. The full-zip front with protective button flap, partial lining, adjustable cuffs, and cinch drawstring waist will help keep you as warm without compromising the old-school style. It’s also nicely broken-in to help you avoid any poseur accusations. Call it the American original because it is. Born out of military needs in 1966, it’s barely changed from the original, and that’s a good thing for you since it evokes vintage cool without even trying. 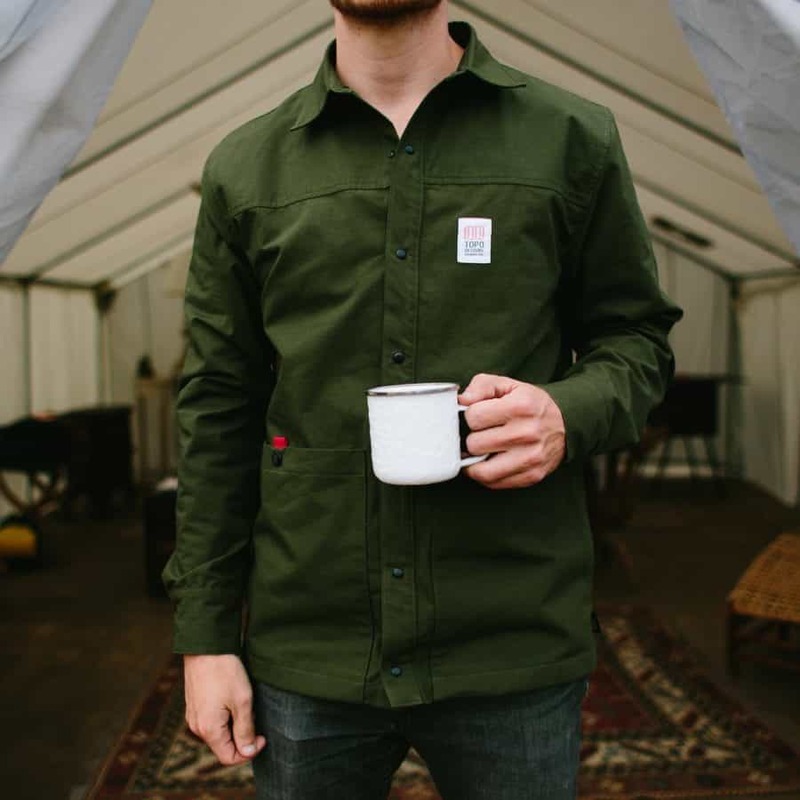 It was built for layering in Vietnam, allowing mild weather wear during the day and cold at night, so its versatility is proven. Military epaulets give it authoritative shape up top, and the four large pockets hold plenty of daily gear. The fit is generous, true to the original military spec, but you can downsize two sizes from your typical size for a trimmer look. 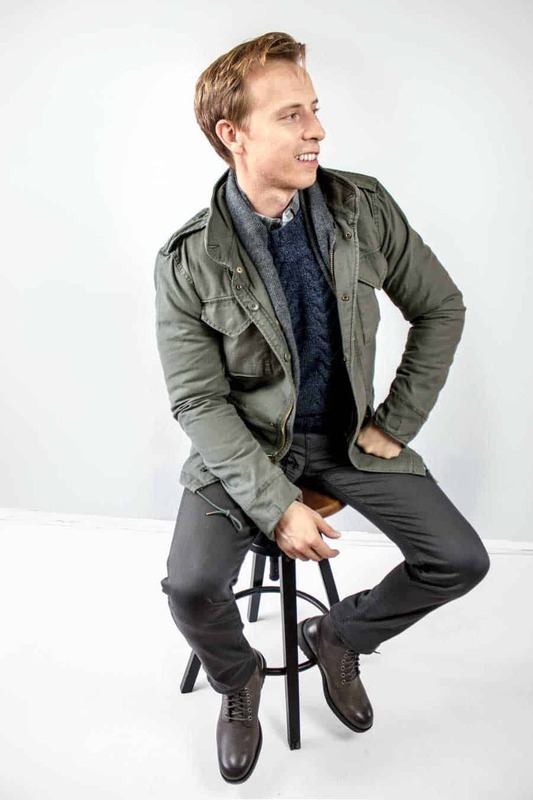 The fact that it comes in more than just the original olive green means you can pick your best look with ease. Regardless of what you choose, the M-65 will go great with a solid pair of khakis. We first featured the Defender in our Amazon Outfit. If taking along your over-and-under out for an afternoon of sporting clays with the boys is your thing, this truly versatile and sophisticated field jacket is the right recipe for warmth and a style statement. The unadorned military-style has big flap chest pockets, smart button epaulets, and a storm placket for added protection. The best part is the super-warm and separately wearable zip-in diamond quilted vest that will have your compatriots wondering why you’re not as cold as they are. No matter how hard you try, you likely won’t wear out this field jacket that was good enough for train workers who used it more than you ever will. The 11.5-ounce cotton canvas fire hose cloth takes punishment, grime, and moisture like a champ, and the sumptuous berber fleece lining will cosset you in warmth when things get nasty. The big waist pockets are tough enough to take on tools, and the gussets and bi-swing back mean there’s room to move. Wear this workhorse, and no one will guess that you just pummeled one mean spreadsheet. 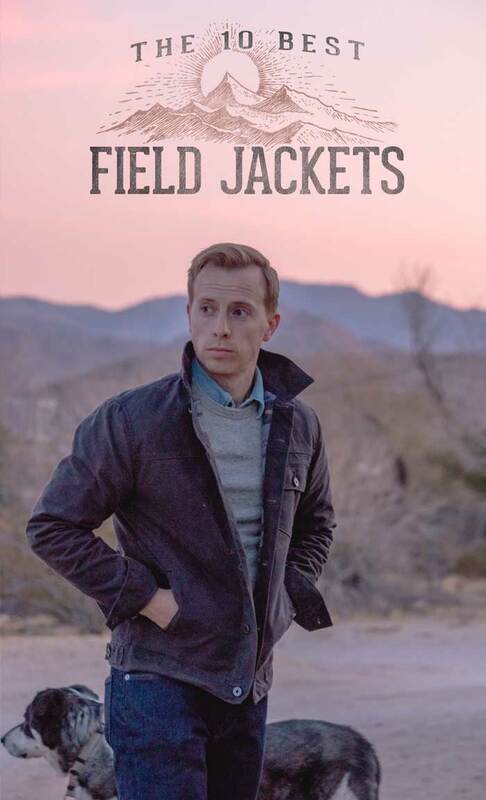 Do you have a favorite field jacket? Share it in the comments below! 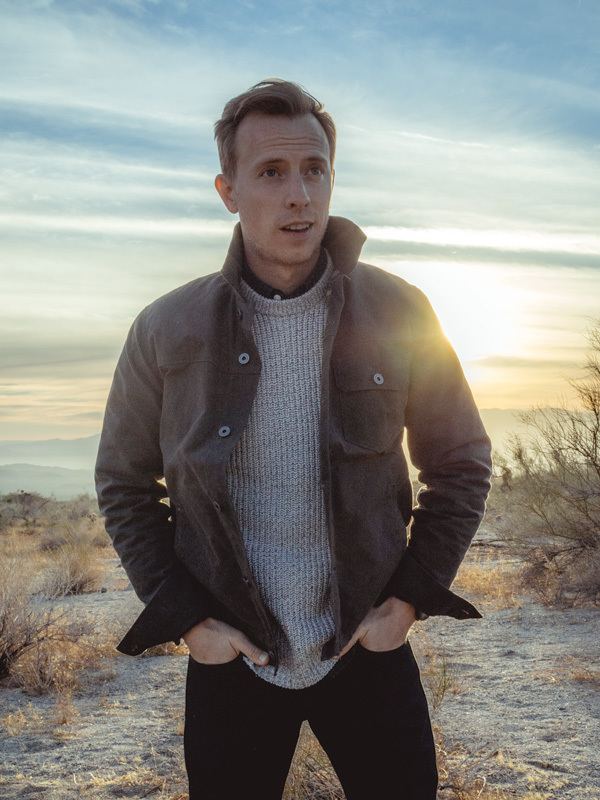 Another great article…If the Levi’s Cotton Sherpa Lined Hooded Trucker Jacket is considered a Field Jacket, it’s a great alternative on sale now at JCPENNEY for $54. I am wearing the Levi’s jacket right now! Love it and I got it with a coupon for roughly $40. Came here to say this. I love this field jacket and have taken it through the ringer. I’ve only needed to re-apply the waxing with some otter wax, otherwise this coat has been perfect. Slim looking on its own, yet still roomy enough to get either s thick sweater or fleece under the jacket for some colder days. I’d love to get in a Filson or Barbour one of these days, but in the meantime I have an Orvis Field Coat that’s been good to me over the years. Glad to see that Duluth Trading is on the list. The quality of their clothing is unmatched. 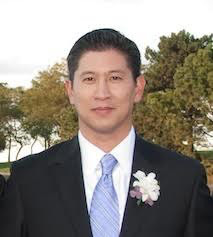 Finding the right fit can be tricky (especially if you don’t have one of their limited retail outlets near you) but you will not be disappointed. 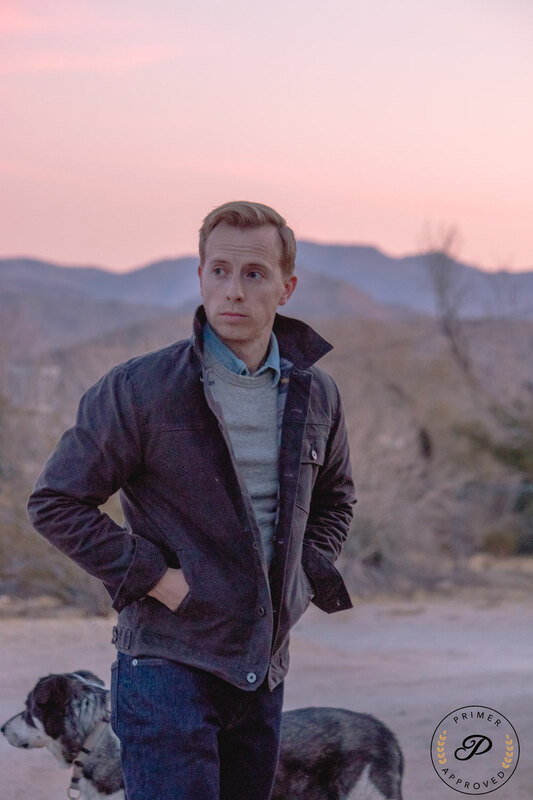 I am basically living in one of their Shirt Jacs – basically the field coat with no exterior hand pockets and a regular collar. I gotta say… the Brits actually have us beat in this category for the best combo of durability/style. Given the weather (lots of chilly rain), they’ve been advantaged in their pursuit to perfect the model. For example – the company Barbour makes some amazing field jackets… and they’ll repair them forever (https://www.barbour.com/repairs-reproofing). I’m 6’5”, 170 lbs. and I need to shop at places that offer tall sizes, so my options for outerwear are generally pretty limited. 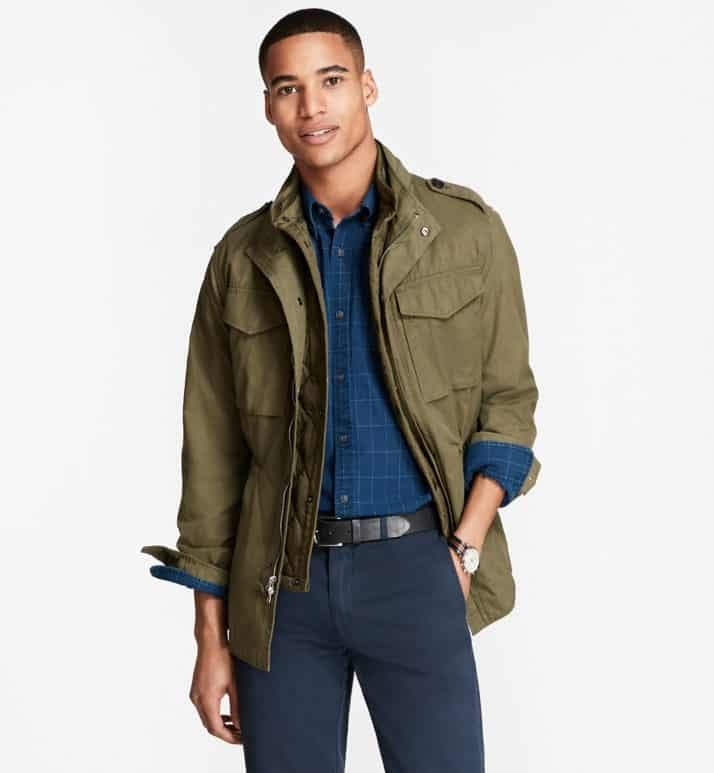 That being said, I just bought the Old Navy Garment-Dyed Built-In-Flex Twill Jacket in Olive (http://oldnavy.gap.com/browse/product.do?pcid=5151&vid=1&pid=827040052) last week. I got it in a Medium-Tall and it fits pretty darn well. Obviously not nearly as nice as most of the options here but the fit and price ($70) were right for me. 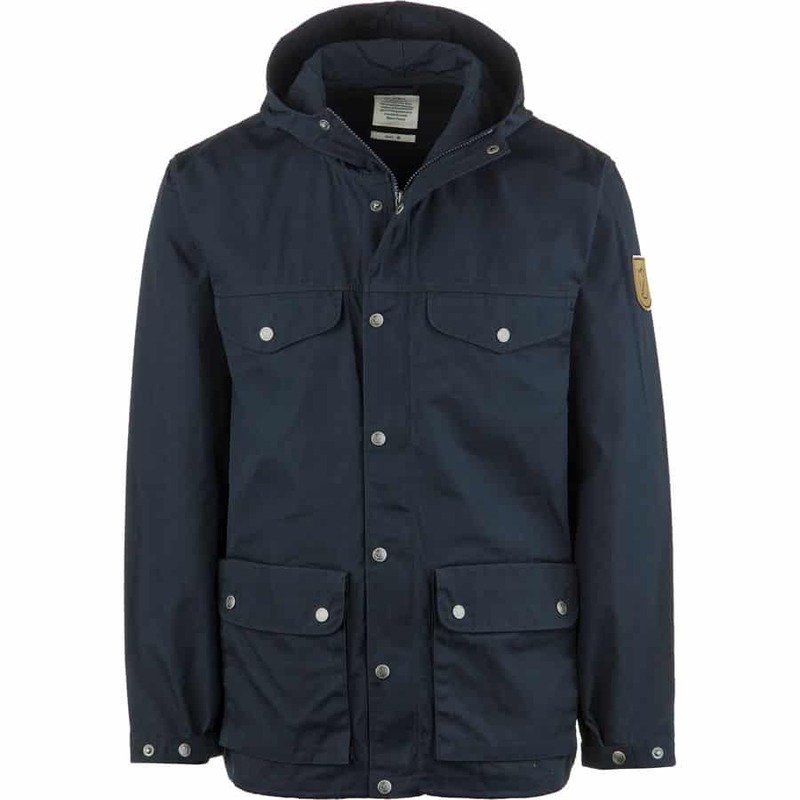 I really like that Fjallraven jacket. I currently have the J.Crew Field Mechanic jacket in blue and it’s totally perfect. It has a million pockets that can hold anything, an optional hood and buttons with a zipper. Also it looks presentable with jeans and a button up shirt. Yep, that should look awesome! I love a classic Barbour, but they are a little pricey. Southern Tide actually makes a terrific waxed cotton field jacket for under $250 that I own and can definitely recommend. The flint and tinder coat is currently $60 off!